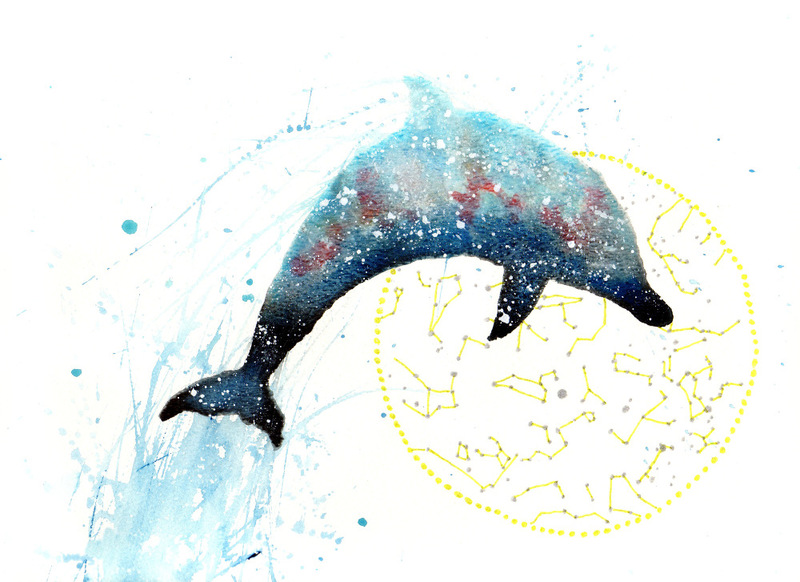 Dolphin symbolizes playfulness, generosity, community, friendship, and intelligence. Dolphin is in complete harmony with nature, balancing its intelligence with its instincts. 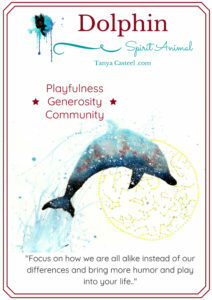 Dolphin also offers great compassion, guidance, empathy, friendship, and healing to all species. Dolphin reminds you to focus on how we are all alike instead of our differences and wants you to bring more humor and play into your life. Let your confidence and true-self shine through by speaking your mind and standing your ground, and use the power of their breathing to safely release pain and anger. Dolphin will guide you in your ability to create deep emotional inner sounds that can be used to create your outer manifestations. I want to hear about your Dolphin experiences. What stories or dreams have you had? Please share and join in the conversation below!